Dr. J. Don Brock, 76, passed away Tuesday, March 10, from complications of mesothelioma cancer. Now publicly-traded, Astec has sales of approximately $1 billion, and more than 4,000 employees worldwide. Don served as chairman of the board and CEO of Astec until 2014, when his son Ben became CEO. He remained chairman of the board until his death. Don earned a B.S. in mechanical engineering from the University of Tennessee in Knoxville in 1961. He then continued his education at the Georgia Institute of Technology receiving a master’s in mechanical engineering in 1963 and his Ph.D. in mechanical engineering in 1965. He was recognized by the business community and the transportation construction industry with many honors throughout his distinguished career. At ARTBA, he was inducted into the “Transportation Development Hall of Fame” in 2013, and was named one of “America’s Top 100 Private Sector Transportation Design & Construction Professionals of the 20th Century” back in 2002. In 2011, the ARTBA Foundation created its TransOvation™ program for the specific purposes of fostering innovative thinking within the transportation design and construction industry and publicly recognizing its proven innovators. The name played off the meanings of three words—transportation, innovation and ovation. The program is aimed at educating elected officials and the public about the outstanding return on investment the public receives from key transportation infrastructure improvements. At a 2012 dinner in Memphis, friends of Don Brock, led by then Heritage Construction & Materials CEO Charlie Potts, hosted the largest one night fundraising dinner in the history of the ARTBA Foundation and re-named the program the Dr. J. Don Brock TransOvation™ Workshop & Exhibit in honor of his lifetime achievements. “Don Brock was one of the greatest innovators in the history of modern road building. 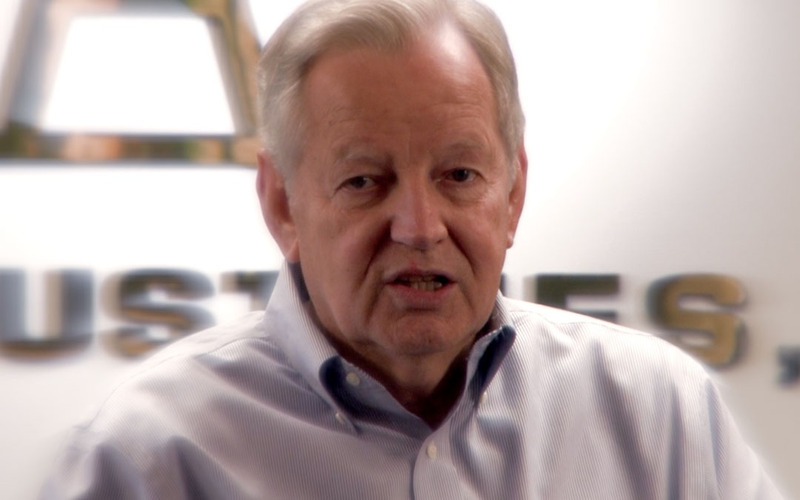 “A man of incredible intellect, Don’s vision for Astec was to apply creative thinking and state-of-the-art technology to traditionally low-tech industries and bolster them with a corporate culture that would become renowned for putting its customers first. He succeeded. “As the holder of more 90 U.S. and foreign patents, Don touched virtually every phase of road building and related construction activity. In the process, he has made the nation’s roads and equipment safer and more efficient, durable, environmentally friendly and profitable. In lieu of flowers, please consider a gift in memory of Don payable to GraceWorks Church, 6445 Lee Highway, Chattanooga, Tenn., 37421.